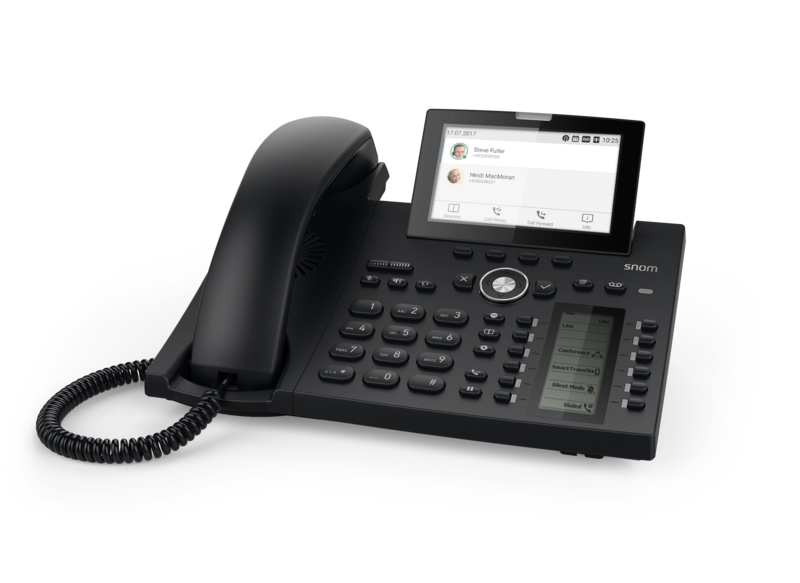 With its wide range of functions and modern design, the Snom D385 marks the next generation of Snom VoIP desk phones and is a natural fit in any office environment. 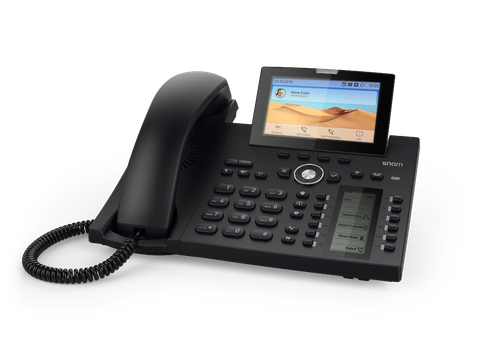 In addition to a high-resolution, inclinable colour display, the telephone also features a modern, clear design. Thanks to the Snom SmartScreen, the tedious labelling of function keys is finally a thing of the past. The telephone’s large 4.3" TFT colour display offers convenient access to all key information such as call lists, address books and functions. The user interface of firmware version 10 has also been redesigned to support users. All keys on the Snom SmartScreen feature multicoloured LEDs, ensuring they are easy to see amidst the clutter of office life. A total of 48 entries are available to users over four pages. 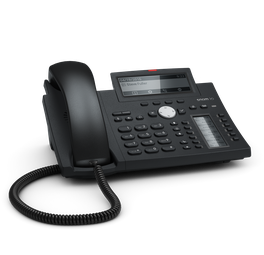 Each key can be individually assigned with speed-dialling, call forwarding or other functions via the telephone system or directly on the telephone. Of course, D385 users will also benefit from the proven Snom HD audio quality. With over 20 years of experience, Snom is a technology leader in this field. 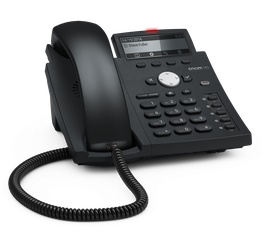 Thanks to the integrated Digital Signal Processor (DSP), which optimises quality in real time, all callers will feel as though they are sitting opposite one another. 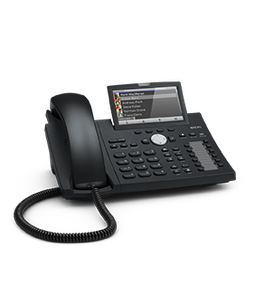 The telephone also features an integrated gigabit Ethernet switch with Power over Ethernet (PoE) functionality, integrated Bluetooth and a USB connection for conveniently adding accessories such as the Snom D3 and USB headsets. With the A230 DECT dongle and the Snom C52-SP expansion speaker, the Snom D385 can be easily transformed into a conferencing device.